VERSATILE CABINET: Use as a living room display cabinet/bookshelf/desk or a kitchen cabinet/snack table, or even a home entertainment bar for storing liquor, glassware and tools. 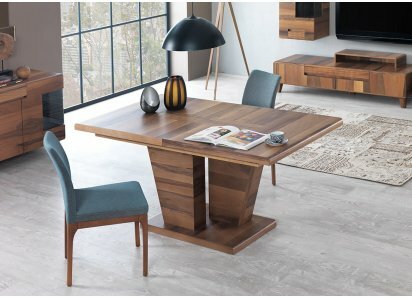 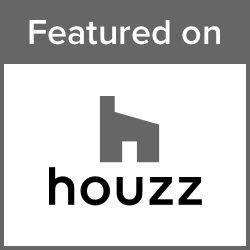 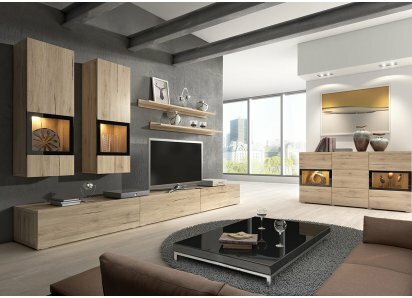 TWO TONE FINISH: Earthy wood and stone combination is on-trend for contemporary natural décor preferences, and premium veneer is durable and resists scratches, stains, and UV damage. 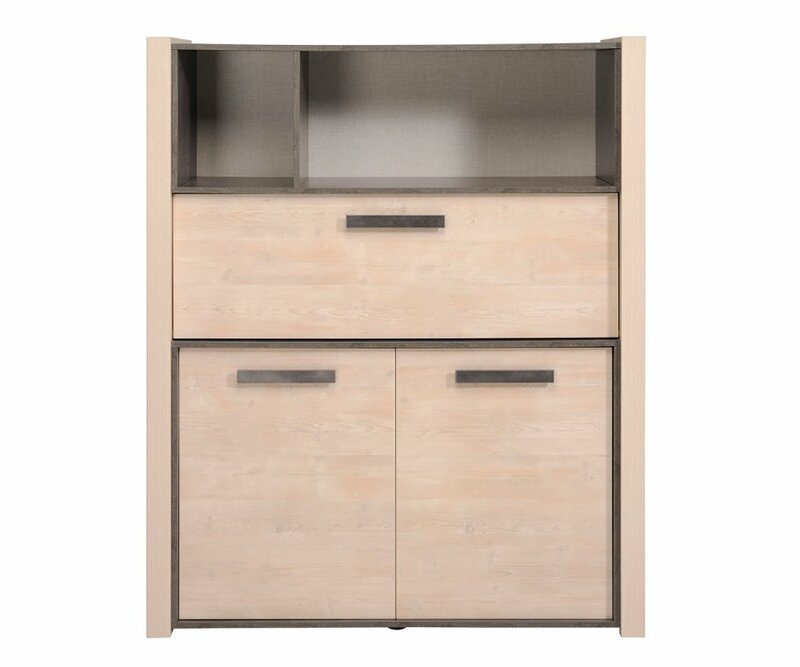 RUGGED CONSTRUCTION: Made from top-grade particleboard with strong steel hardware, so your dishes cabinet sturdy, and built to last. 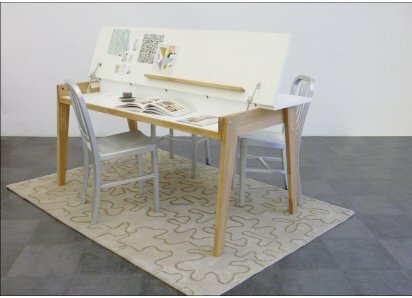 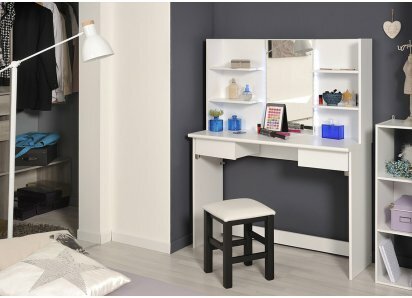 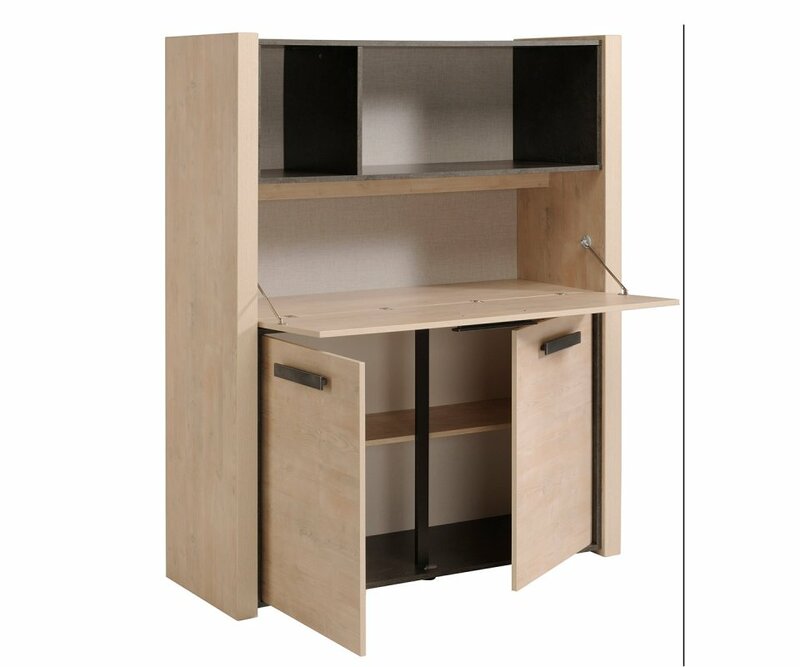 FOLD DOWN SHELF: Create an instant desk, work table, or bar by folding down the cabinet door/shelf; it is suspended on two chains, creating a sturdy surface to work. 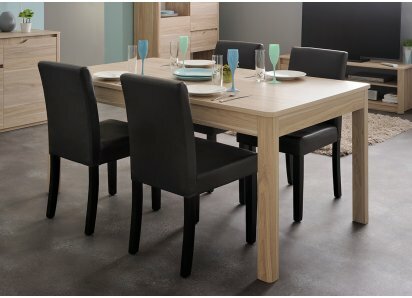 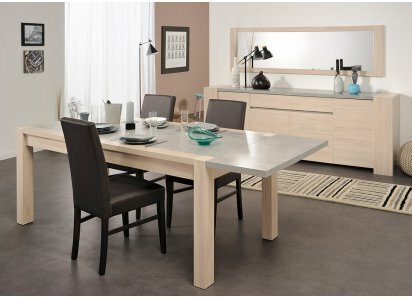 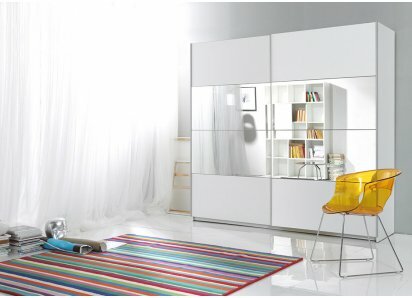 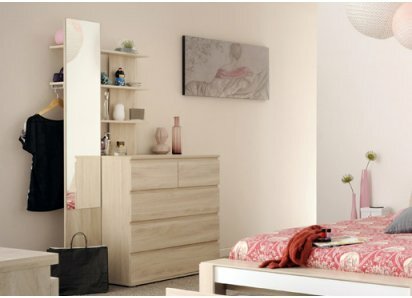 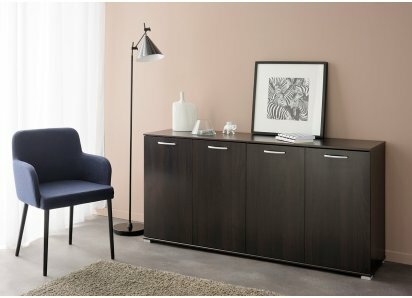 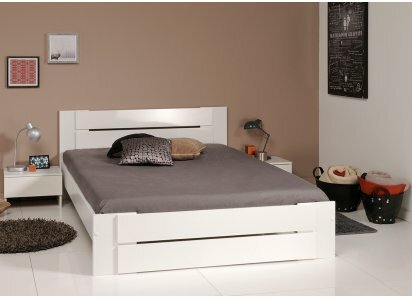 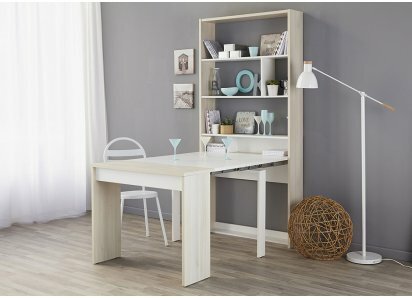 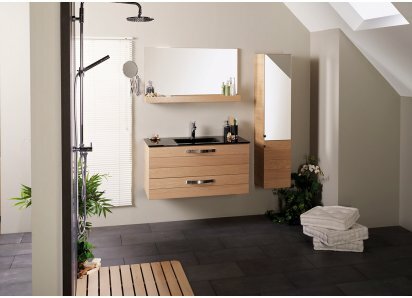 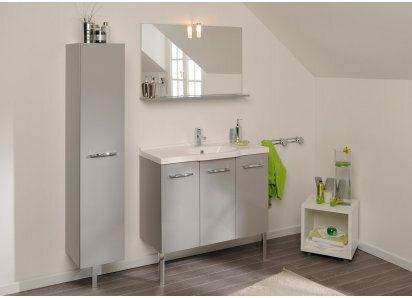 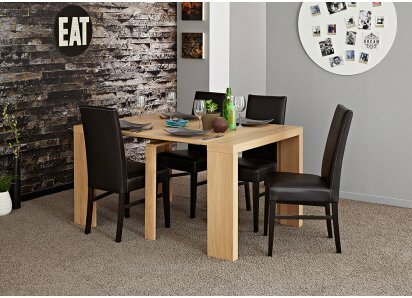 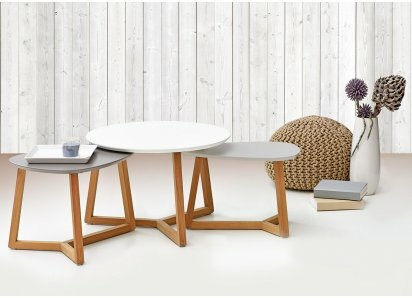 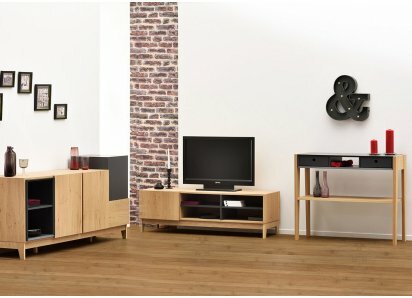 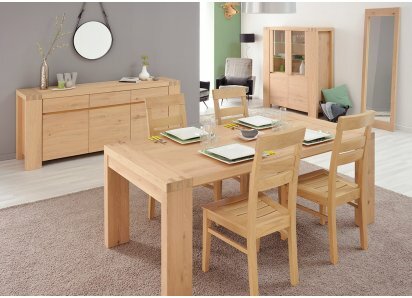 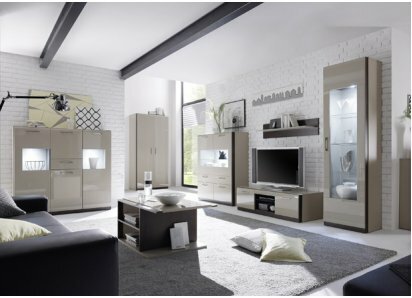 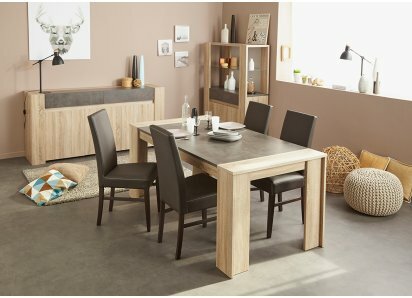 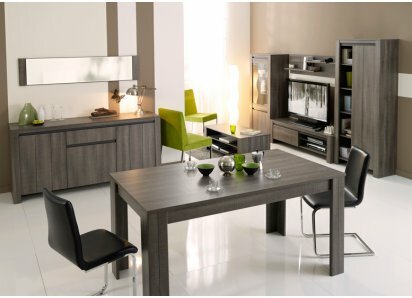 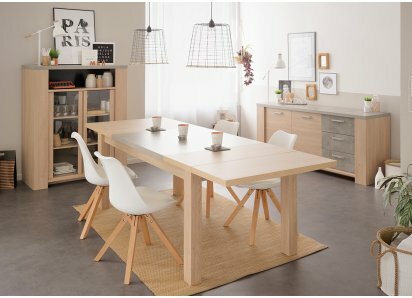 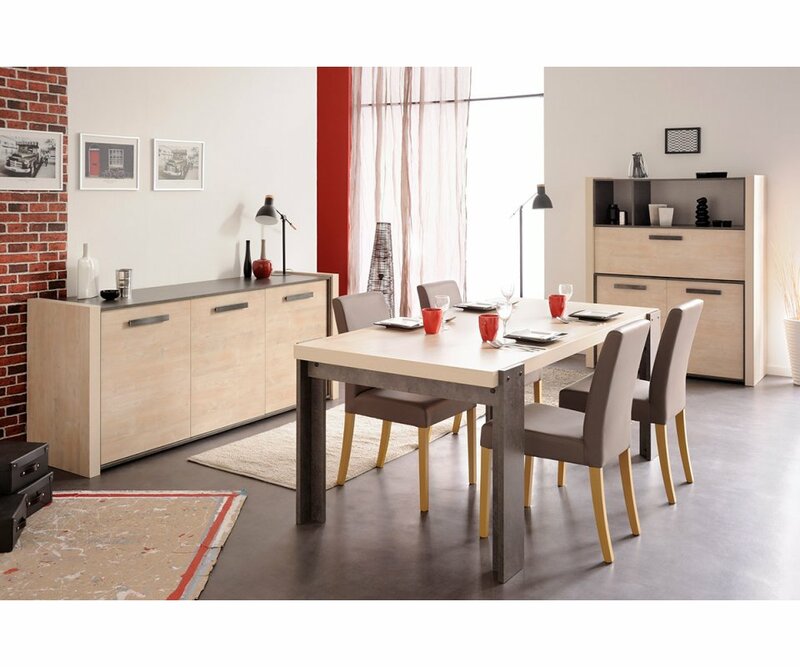 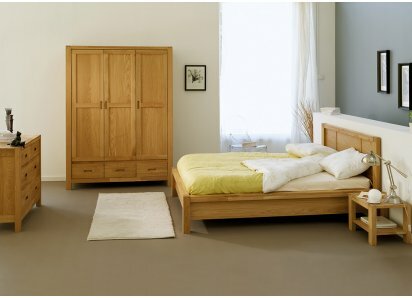 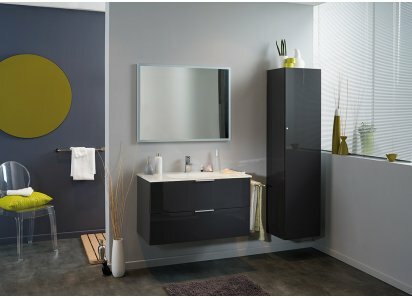 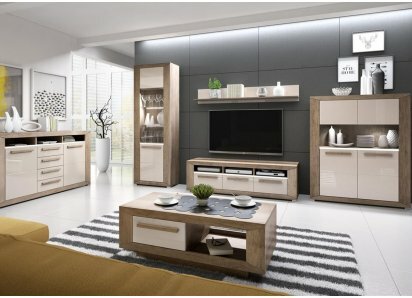 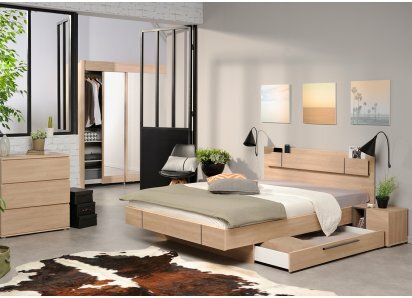 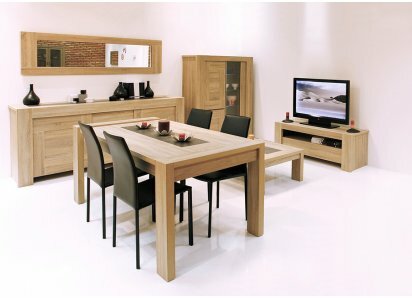 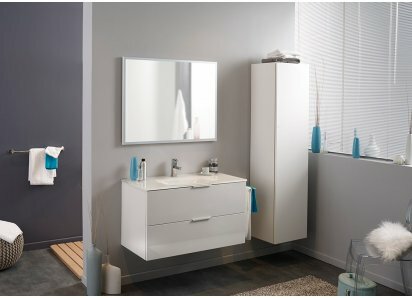 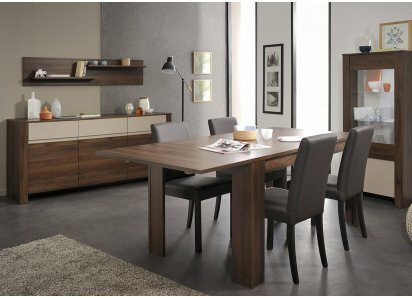 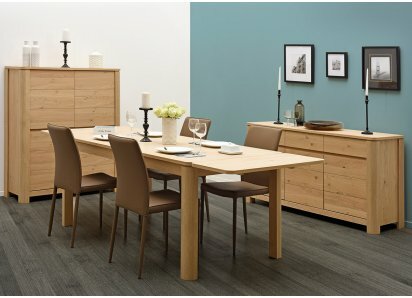 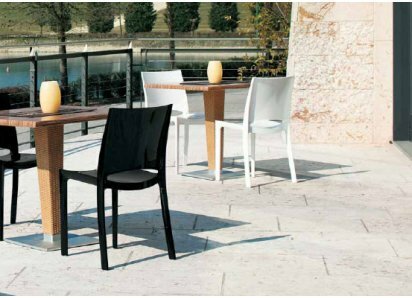 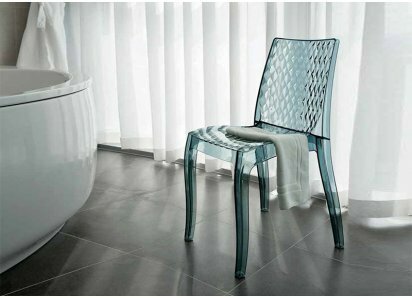 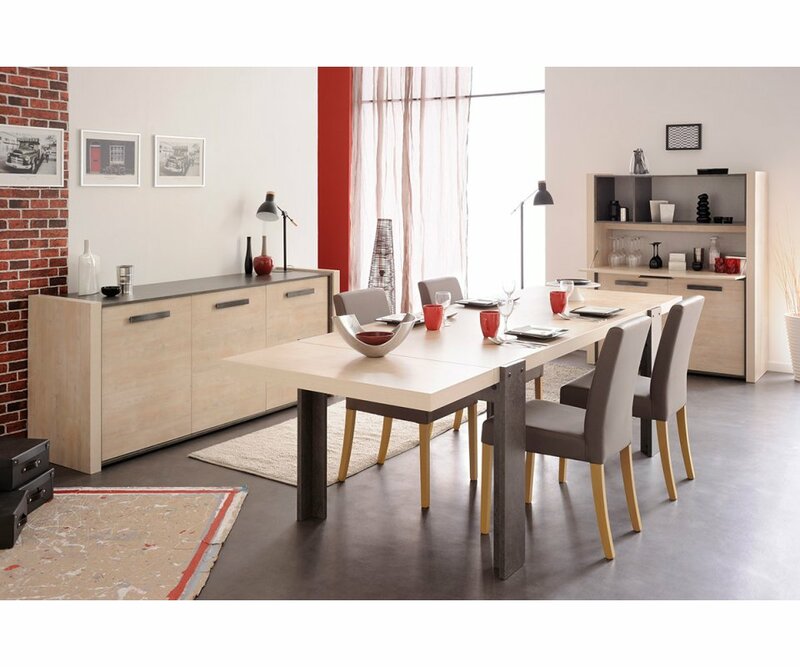 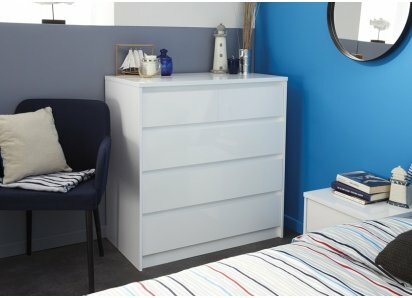 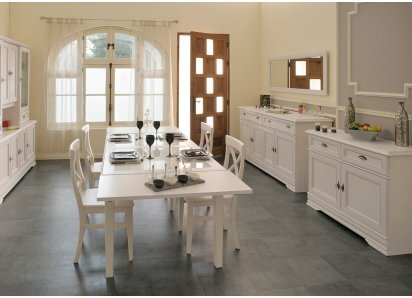 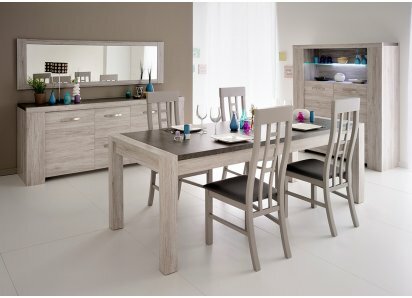 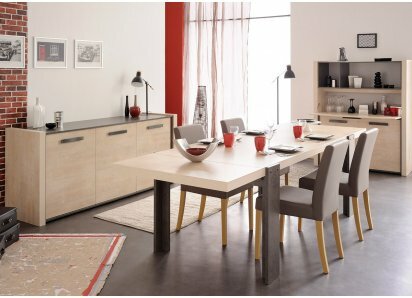 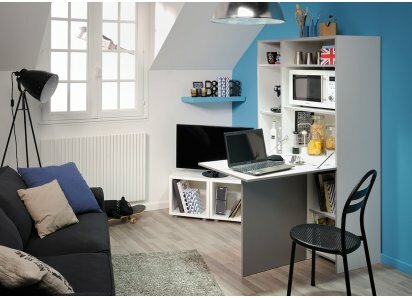 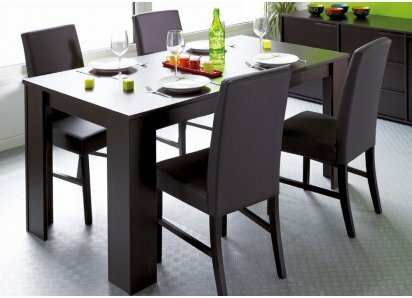 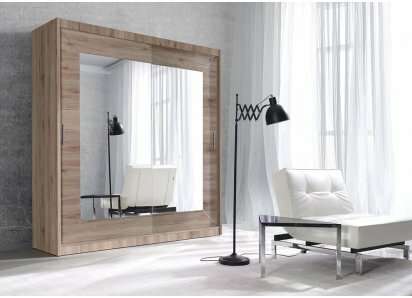 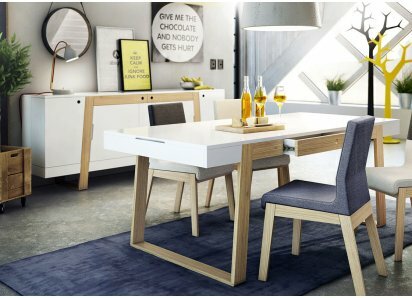 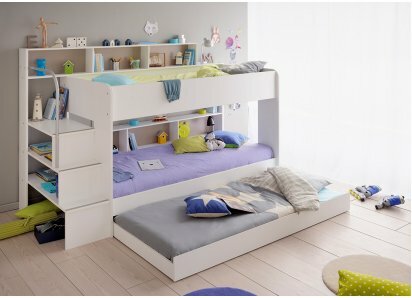 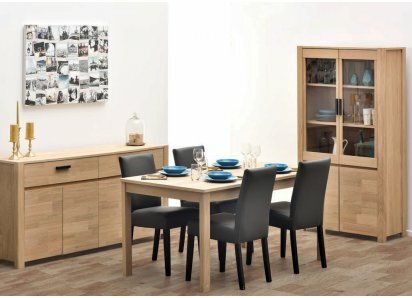 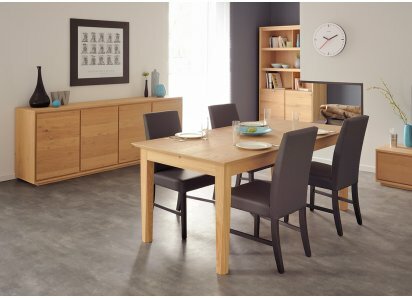 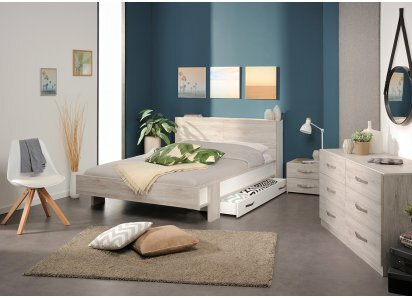 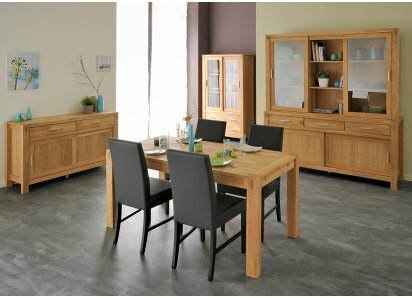 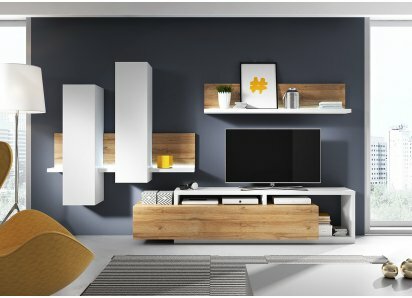 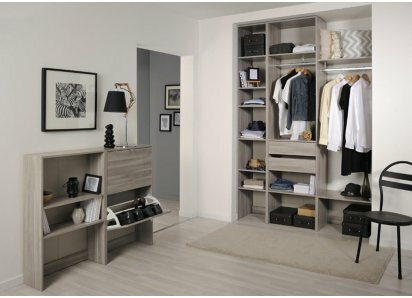 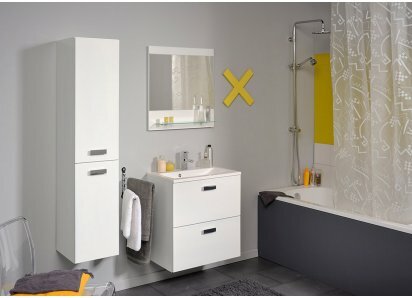 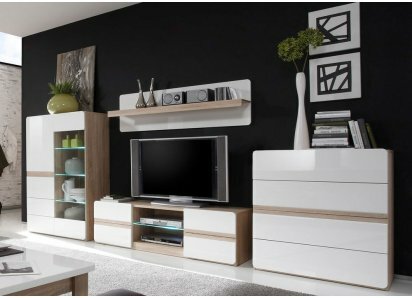 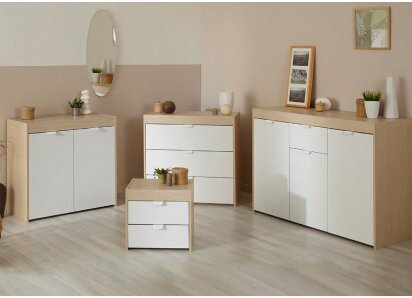 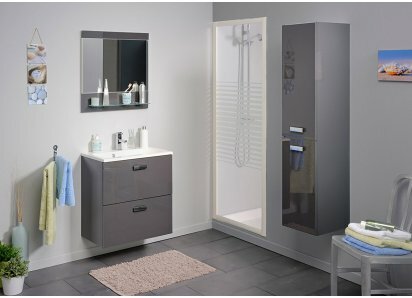 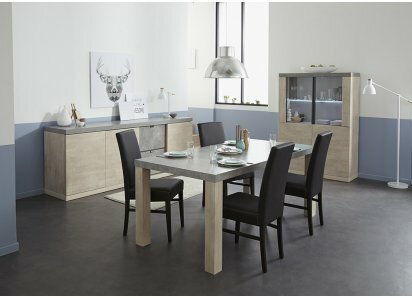 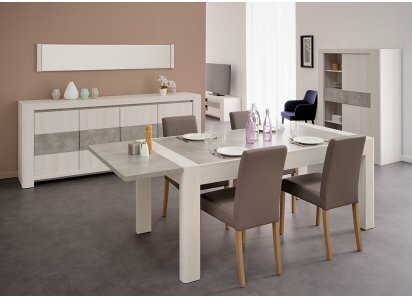 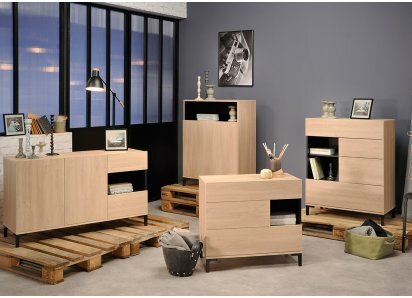 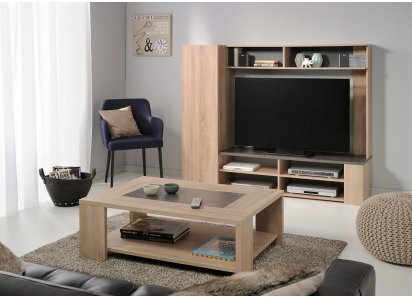 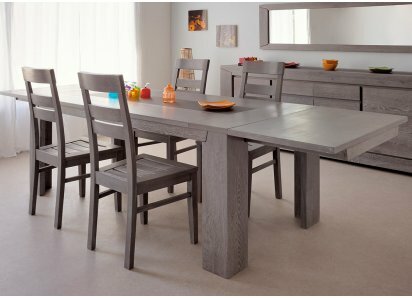 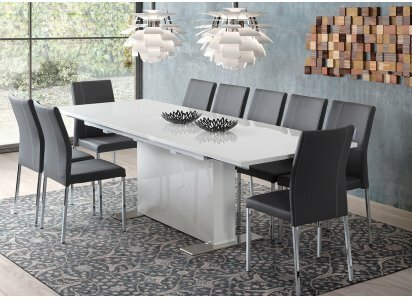 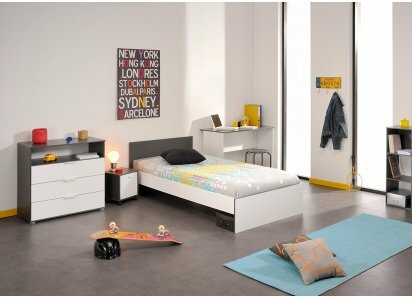 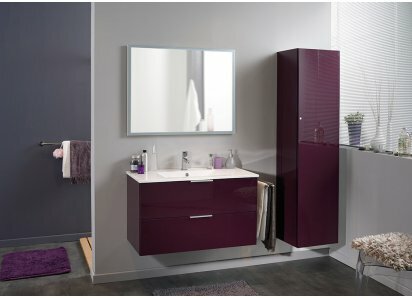 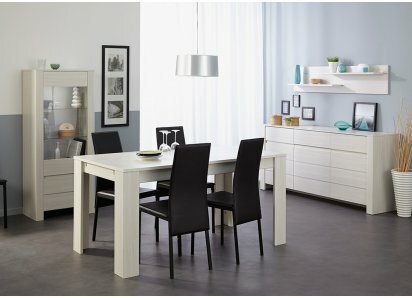 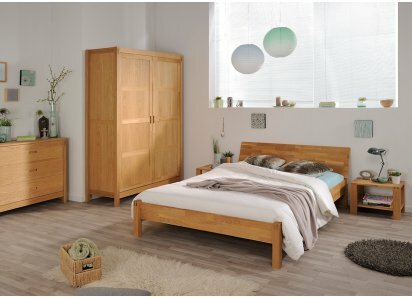 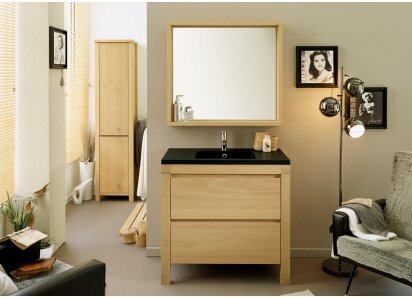 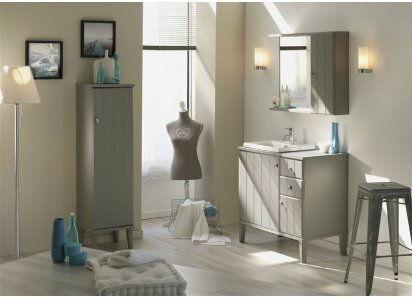 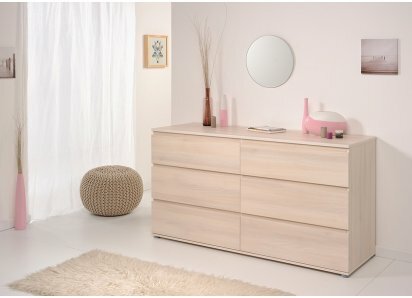 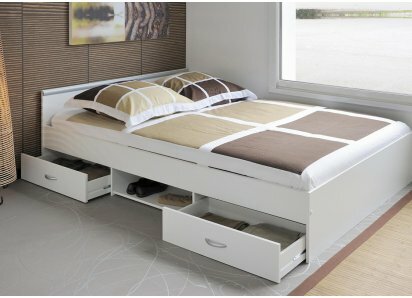 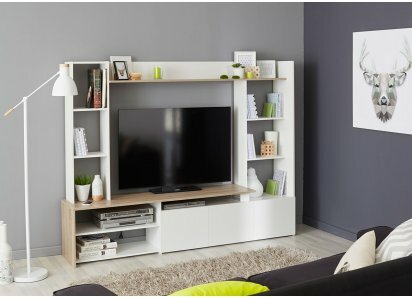 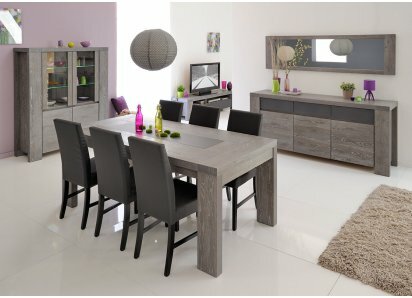 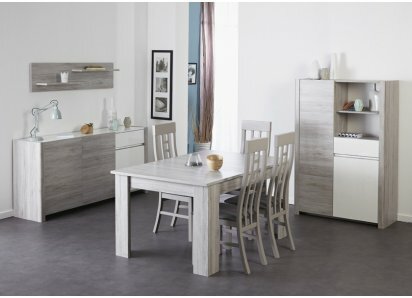 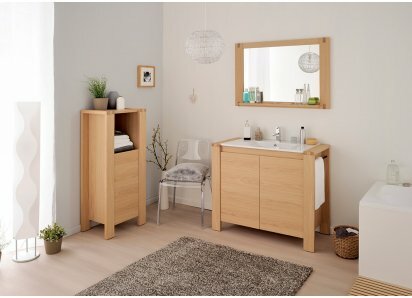 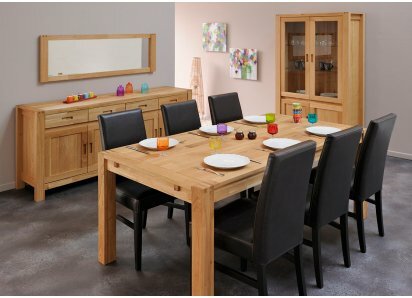 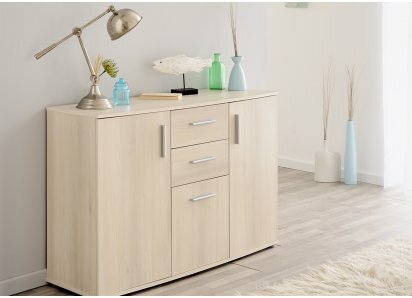 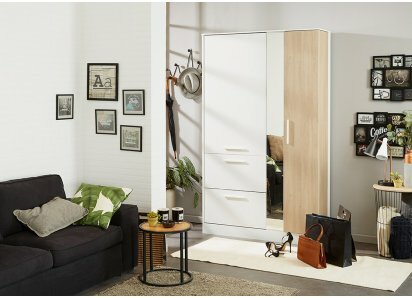 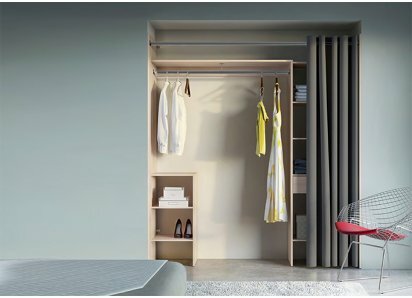 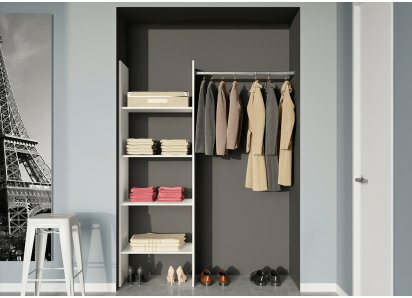 PARISOT QUALITY: Over 80 years’ experience making fine furniture has given Parisot of France the reputation for excellence, inspired design, and eco-friendly manufacturing! 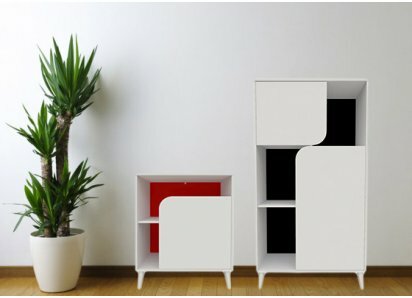 Take a walk on the wild side with RoomSmart’s Wild Dishes Cabinet. 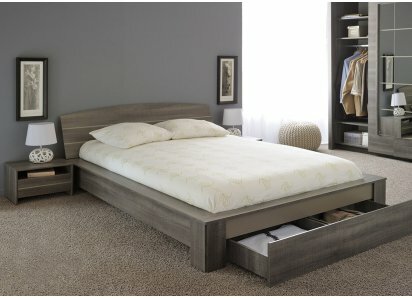 This is a versatile piece that you can use in many ways. 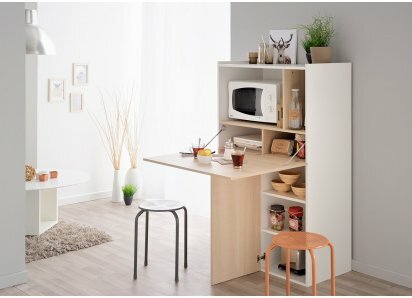 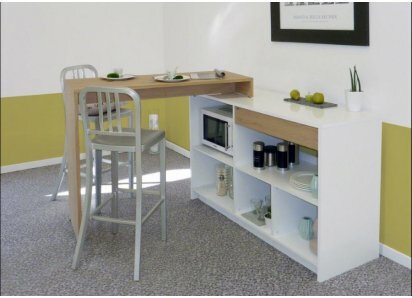 It can be a living room display cabinet/bookshelf with a fold-down computer desk; it could be a kitchen cabinet, with a microwave, recipe books, dishes, and a convenient work surface for cooking preparation. 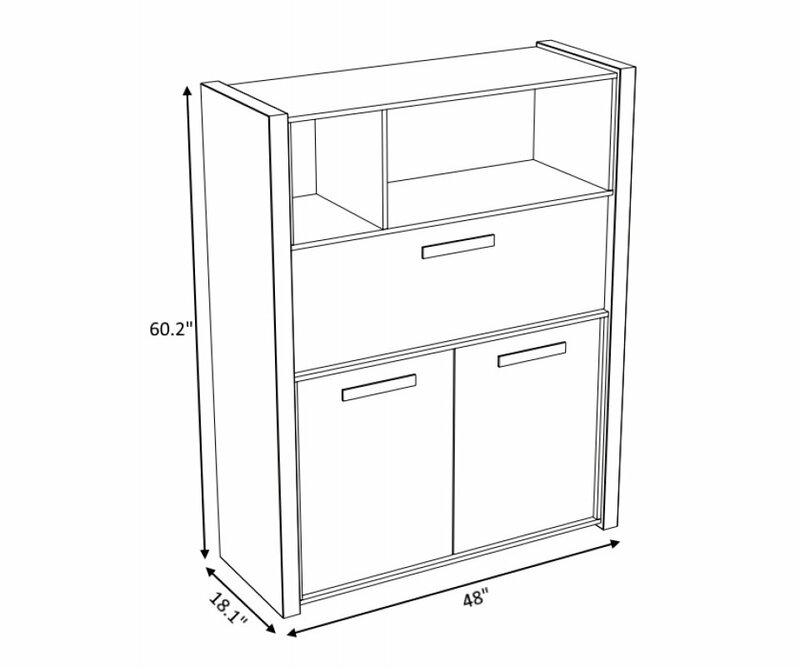 It could even be a bar cabinet, complete with glasses, bottles of your favorite beverages, tools and accessories. 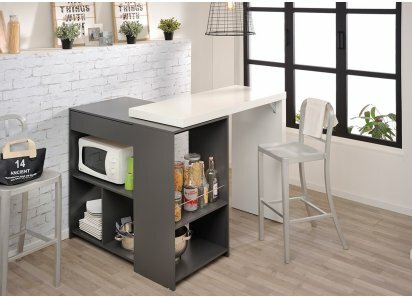 The Wild Dishes Cabinet is made from top-grade particleboard and rugged steel hardware, so it is sturdy and can bear the weight of your heavy dishes and bottles without splitting or bowing. 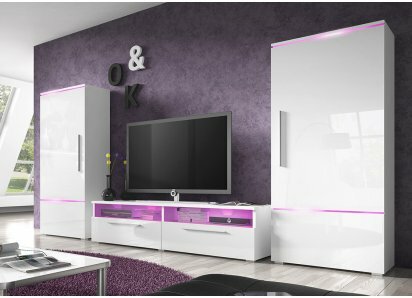 The veneer is resistant to scratches, fading from UV rays, stains and water ring damage, so it can stay beautiful for many years to come. 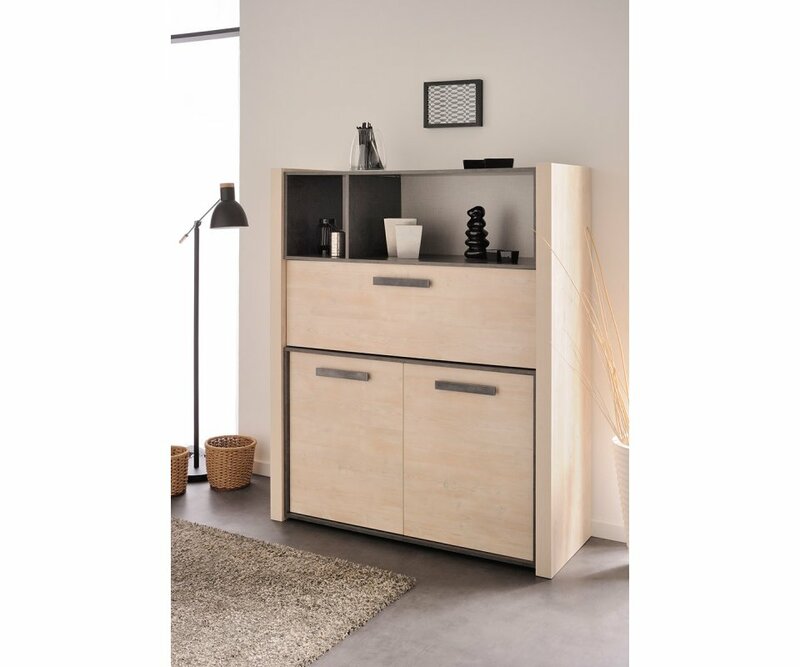 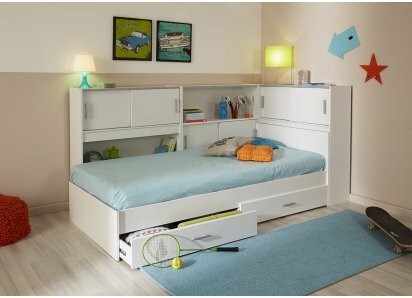 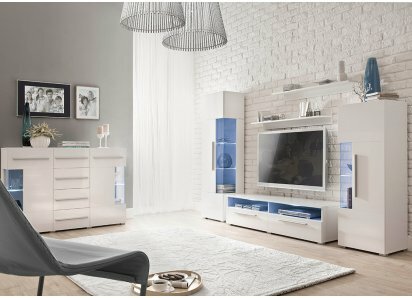 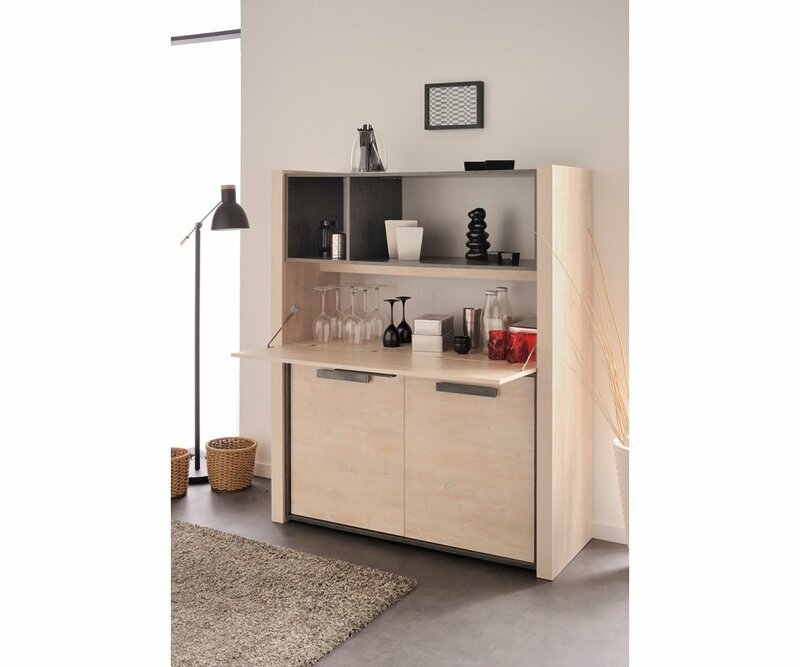 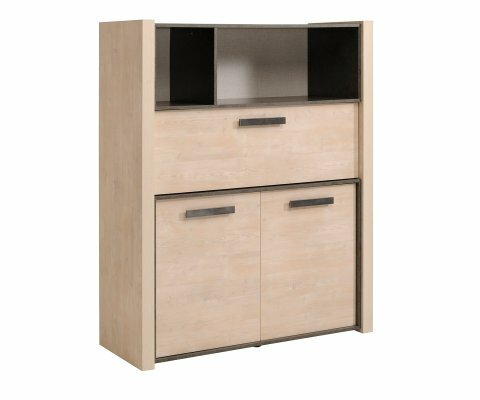 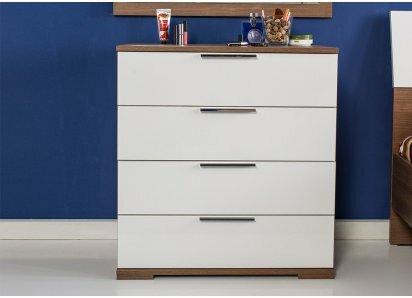 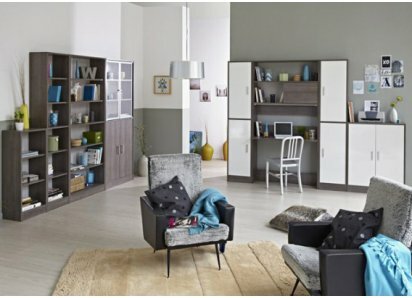 This cabinet is made by Parisot of France, who has spent the last 80 years making fine furniture, and who is committed to providing eco-friendly, space-saving and organized storage options for today’s modern families. 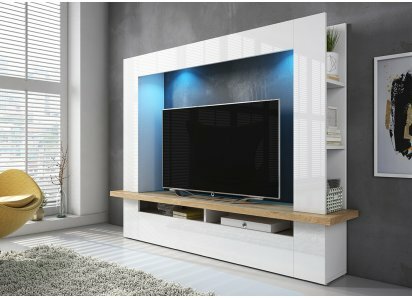 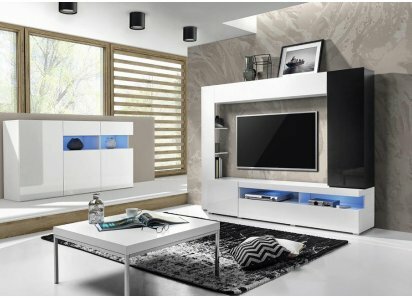 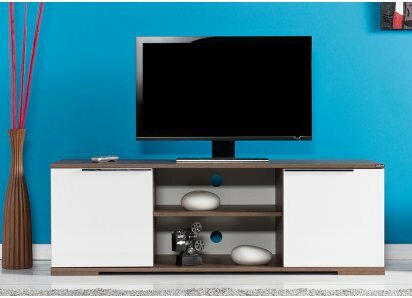 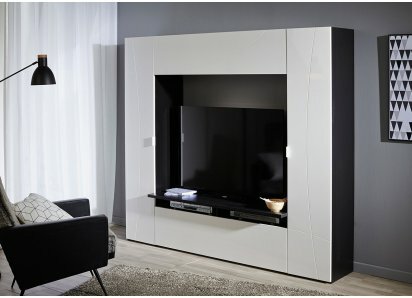 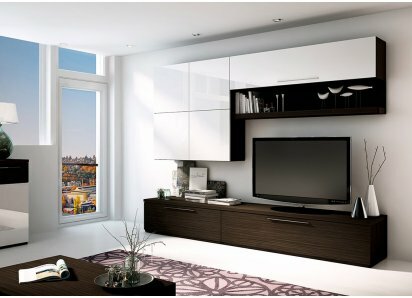 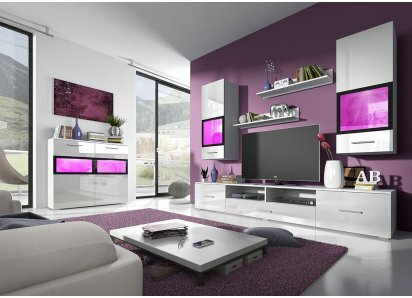 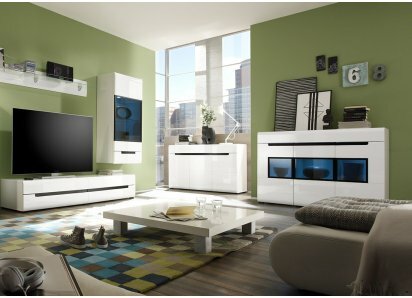 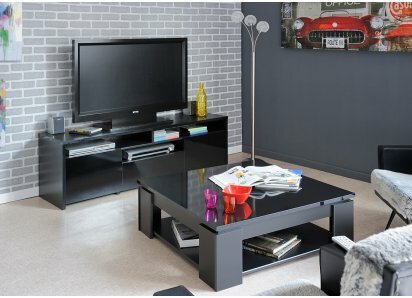 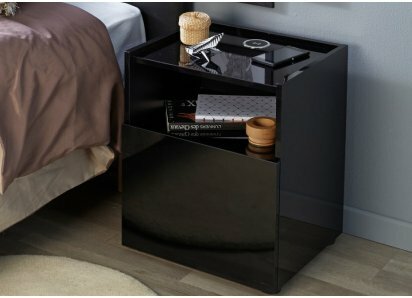 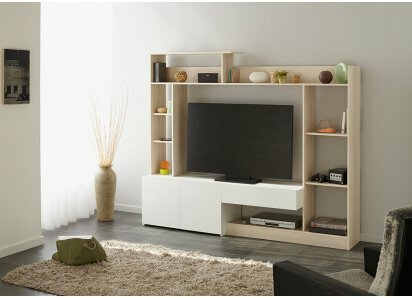 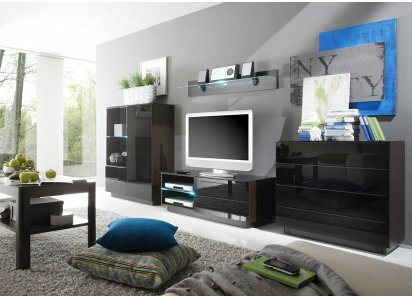 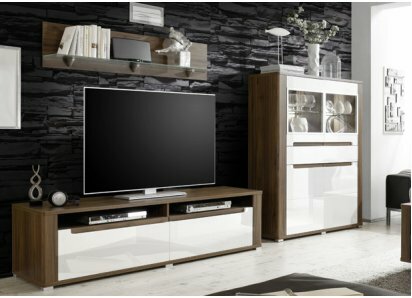 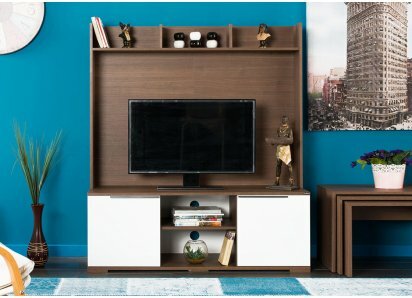 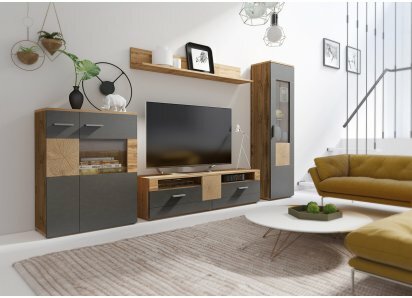 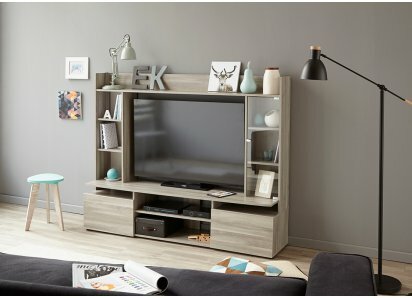 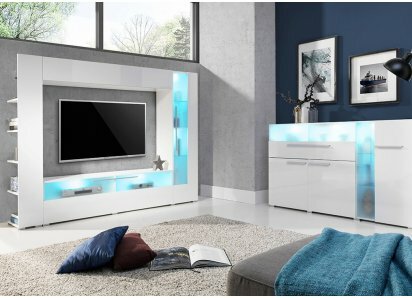 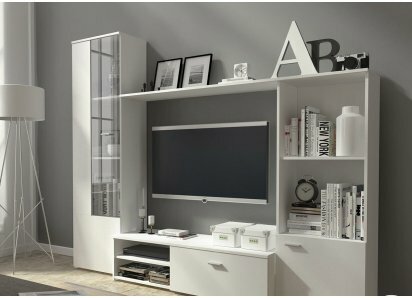 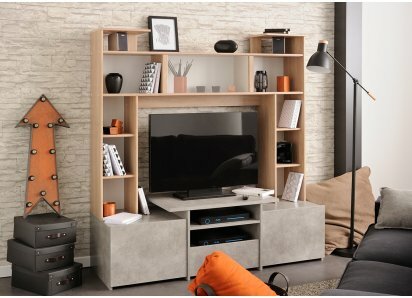 DURABLE CONSTRUCTION: Made from top-grade particleboard with strong steel hardware, so your TV stand can support the weight of your TV without bowing or splitting.OPEN SHELVES: There’s a place for all the media equipment on open shelves directly under the TV, keeping your entertainment area n..